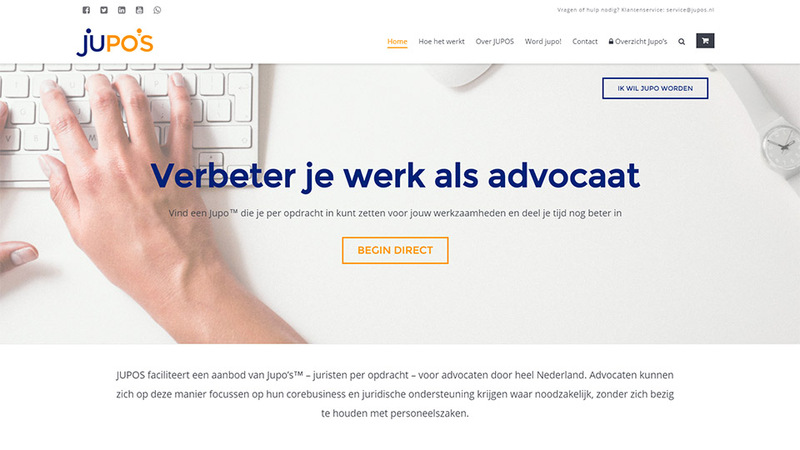 We’re very proud today to launch this exciting project for a client: JUPOS – an online platform for legal services, connecting legal professionals with postgraduate paralegals on a per-project basis. Through their revolutionary business model, very uncommon in the legal services industry, they hope to disrupt the stagnated model of paralegal work and increase the flexibility and agility of legal professionals. The case-load of lawyers is no longer hopelessly tied down by their capacity to hire permanent staff for juridical research, rather, they can focus on winning cases whilst the brunt of the general research work and memo-writing can be flexibly delegated to per-project paralegals – all highly qualified postgraduate candidates with an exceptional talent in specific legal areas. SKNDAL has assisted in developing the first iteration of the JUPOS platform by providing both design and development services. Apart from designing the corporate identity and website, we are leveraging a variety of open source extensions for WooCommerce and WordPress along with customized development work to meet specific project requirements. It enables us to provide a cost-effective solution for an exciting new start-up with great potential, lowering their threshold to access a market deeply in need of disruption, and forging a long-term partnership with our client.